6 ways to live past your 120th birthday and still be healthy, happy and financially secure. Who wants to live a long life if your health fails, your money runs out and you have nothing to live for? Even so, by percentage, centenarians are the fastest growing age group on the planet. As we all live longer, our health only becomes that much more important to our quality of life. Here are 6 easy ways the Tai Chi Gung Masters have lived longer, healthier, happier lives for more than 3000 years. Learn to let go of active mode. An amazing number of people have trouble sleeping at night. They have lost the ability to detach from their daily life and rest. To counter act this lack of rest, they often rely on caffeine. As good as coffee tastes, and I’m a fan, using it as a source of energy only takes the body chemistry even further from the rest cycle needed to stay healthy and live a long life. The 4 basic Tai Chi Gung standing exercises we do in our weekly classes automatically balance the descending chi and help you rest. A group of researchers at Berkeley discovered that most people who are struggling with weight do not breath efficiently enough to digest their food. The Tai Chi Gung Masters know that most human beings on the planet do not breathe with the life force energy consciously… ever! Like a forest when it stops raining for months, their bodies dry up; starved for the energy they need every day to remain healthy and live a long life. Well over 90% of all students feel the energy between their hands at the end of Tai Chi Swim exercise in their very first class. To keep the energy high for you, we do every online class live. The energy is in the present moment! Human bodies were designed to move. Physicians at Harvard are so high on walking that they’re even beginning to prescribe it to their patients. In a time when you can get anything delivered to your doorstep, the side effect of less physical movement impacts people’s health in ways they don’t even realize. That being said, not all exercise is the same. The Tai’ Chi Gung Masters are experts at regenerative movement. They’re efficient too! They learned that when you move with nature and breathe with nature; nature sustains you! It doesn’t try to remove you from the planet by aging you. Thoughts have a vibration. The magnetic field that surrounds the physical body resonates with the frequency of your thoughts and feelings constantly. Aside from the breath itself, nothing impacts your long term health more than the repetitive thoughts that you recycle through your spirit, mind and body on a daily basis. Most meditation tries to master thoughts with the thought process itself. It can take years of practice to do this well. But Tai Chi Gung Masters discovered that they could influence the mind positively with movement and breath. The mind makes a great servant, but a very poor master. With the Tai Chi Gung exercises, students learn to make their minds work for them, not against them. Those who lose their purpose in life, usually don’t live very long. The health of those who work in jobs they hate inevitably suffers. On the other hand, finding what you’re passionate about and sharing it with the world is tremendously regenerative. One of the benefits of doing Tai Chi Gung is that you regain your passion for living. Students even report to us that colors look more vibrant, sounds are more intense, the joy they feel being around people they love begins to crescendo. As this happens, it becomes easy to discover new passions, or reignite the fire in old ones you’ve forgotten. Private sessions dig into this kind of work. There are many self improvement steps along the way to turn a passion into a career successfully. Most people who are honest with themselves have no interest in outliving their savings. They would rather die than live a life of low quality. How your life looks in decade 9, 10, 11 and 12 is a very much up to you, but one of the most taxing things on health through your whole life is financial stress. If you want to remain healthy, its very important to deal with it. The sooner, the better! Before I started attending Tai Chi Gung classes, I would experience irregular bouts of vertigo that I had no idea how to control or avoid. I started regularly attending David’s classes in the fall of 2017 and never experienced this again! It took me a little while to realize this since the feeling would come on so sporadically, but looking back over the last two years it is something I no longer deal with (or fear while driving!). Even though I remain a very mentally active person, I feel more grounded now than ever before. I have David and his Tai Chi Gung classes to thank! When anyone asks me what I do for exercise, I tell them Tai Chi Gung and walking. I do a lot of gardening, too, but Tai Chi Gung is my favorite. 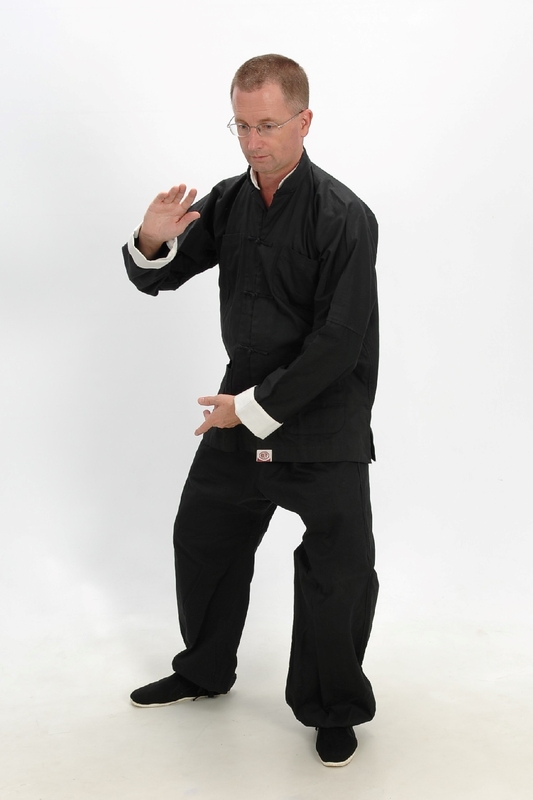 Tai Chi Gung helps strengthens my legs helping me with better balance. It is important, too, with better breathing giving me better health in general. I always feel so much better when I practice Tai Chi and tell everyone I meet, even my doctor what a great gentle exercise it is with great results. I am in my 80's and intend to continue Tai Chi Gung as long as I can. I was sold on Tai Chi Gung after that first class. I knew I had hit gold when I was hardly able to keep awake half way through that first class because I became so relaxed doing even the most basic exercises. This is important to me, because my life is very stressful, possibly more than most, and physicians have said my general endocrine system has not been functioning well for several years due to the stress levels. Now when I am stressed or before I go to bed, I do a few of the Tai Chi Gung movements until I feel the chi rising and flowing in me. At night, when I lay down after doing these for even a few moments, I am literally asleep in the time it takes to get my feet under the covers and my head on the pillow. At age 45 I was diagnosed with Diabetes Type II. Over the past 10 years, things have only gotten worse for me, adding high cholesterol, high triglycerides and high blood pressure to my list of issues. 2 years ago I was diagnosed with kidney cancer and as a result, had to have part of my right kidney removed. I'm 56 and feel like 86! I decided to attend the Tai' Chi Gung class. It was as if Tai' Chi Gung were meant to combat all the conditions I suffer from! AND it's been working for thousands of years! Nothing we did was overly strenuous. Afterwards, my body felt different, better. My body and my mind were free of stress and I felt more at peace. I highly recommend everyone give Tai' Chi Gung a try. Tai Chi Gung has far exceeded my expectations. I really had no idea I was going to enjoy the classes so much. The students are all ages and from all walks of life. The class remains interesting and makes everyone feel welcome. I recently took up golf again after many years and the improved balance and leg strength I’ve gained from these exercises has elevated my game and my confidence. The best part is it doesn’t even feel like your exercising. I feel recharged and looking forward to the next class when I leave. This is the best thing I’ve done for myself in a while. Thanks. On a professional level, I found that Rasaji’s system is so profound that it is therapeutic. As a licensed psychotherapist, I often think of how the exercises invoke comparable feelings of good will and positivism that are similarly obtained from psychotherapeutic work. For example, with “push hands advancing forward” there is a sensation of calming movement that slows the mind and yet leaves it focused. Many a time, I have thought of clients who could find value in the system, such as: Depressive diagnoses, Children with hyperactivity, Anxiety disorders and Co-occurring conditions. As a mind-body medicine option, Rasaji’s Tai’ Chi Gung system offers immediate outcomes and life-changing opportunities. THE most powerful mode of energy work I have experienced. I started Tai Chi Gung at the Library with David Paul. I had been looking for a Tai Chi class, because I needed a gentle body work to help with movement and balance. I'll spare you the list, but in the last 20 years I have qualified and trained in many energy healing modalities. ONE session with David, I had startling results the next day. I can easily give it the label of being the most powerful mode of energy work I have ever experienced, and I have been telling everyone I know the same thing. If you would like to learn more about what happens in a regular weekly online Tai Chi Gung class, we’ll be happy to send you a guide to the 4 Standing Exercises. These are the foundation of the Tai Chi Gung system. They’re exercises that my teacher, Master Lama Rasaji (www.rasaji.com) showed me in my very first class. I’ve been doing them daily for more than 35 years and sharing them in classes for more than 21 years. When I asked permission from Master Lama Rasaji (rasaji.com) to do live classes online, he told me that up until now, Masters worked with just 1 or 2 students, or a very small group. This is the first time in the entire 3000 year Tai Chi Gung lineage that live classes are offered online. The secrets of health and longevity directly from Lao Tzu are now available to you. In a way, I have been practicing Tai Chi Gung daily for more than 30 years to prepare for these live online classes. It would be an honor to share the Tai Chi Gung system with you. Enroll in any of the live classes now, and you will save $10 on your first month’s tuition immediately. Use the coupon code: save10today at checkout today. You risk nothing. If you decide that it is not right for you, I’ll return your 1st month’s payment with no questions asked. You have a 30 day, 100% money back guarantee, no matter what. When do live classes meet? I do work with people privately and I’m certified to train teachers. If you’d like to learn more about what it’s like to study privately, please get it touch with me. You can use the contact form or speak with me by phone.